Bactericidal systems “Lazur” of new generation with new powerful 700 W UV lamps will be supplied to upgraded water treatment facilities for wastewater disinfection under contracts with a number of municipal services. 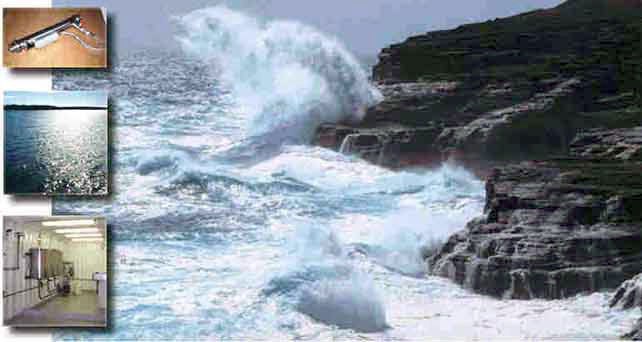 The planned upgrades will utilize systems for water disinfection based on ultraviolet and ultrasound application with flow rates ranging from 1000 to 3000 m3/hour. A new generation of bactericidal systems “Lazur” for disinfection of drinking water and wastewater using Ultraviolet light in combination with Ultrasound has been made available to customers. The systems of new series are equipped with new improved UV amalgam lamps of 500 and 700 W power and provide flow rates from 50 to 3000 cubic meters per hour. Due to the new development, the bactericidal systems have significantly – 1.5 to 2 times - reduced power consumption and have a much smaller size in comparison to systems of similar flow rate equipped with 300 W amalgam lamps. We hope that our customers will appreciate the novelty, potential and quality of new bactericidal systems for disinfection of drinking water and waste effluent using Ultraviolet light and Ultrasound. A number of large projects have been initiated in Kazakhstan and Tajikistan, which utilise water disinfection systems for drinking water and waste effluent treatment. Such systems, based on the application of Ultraviolet light and Ultrasound, will treat up to 700,000 cubic meters of water per day. Negotiations are underway with Egyptian authorities in the sphere of investment in healthcare, tourism and water facilities. Egyptian counterparts demonstrate strong interest in “Lazur” technology (disinfection of water using ultraviolet light and ultrasound) for various applications in towns and resorts, and also industrial entities in Egypt. The Expert Council is preparing a 10 year plan for the Government approval. In August 2017 “Svarog” company has enjoyed a significantly increased demand for "Lazur" water and wastewater disinfection products, based on the use of ultraviolet light and ultrasound. This is a sharp increase compared to similar accounting periods of last years. 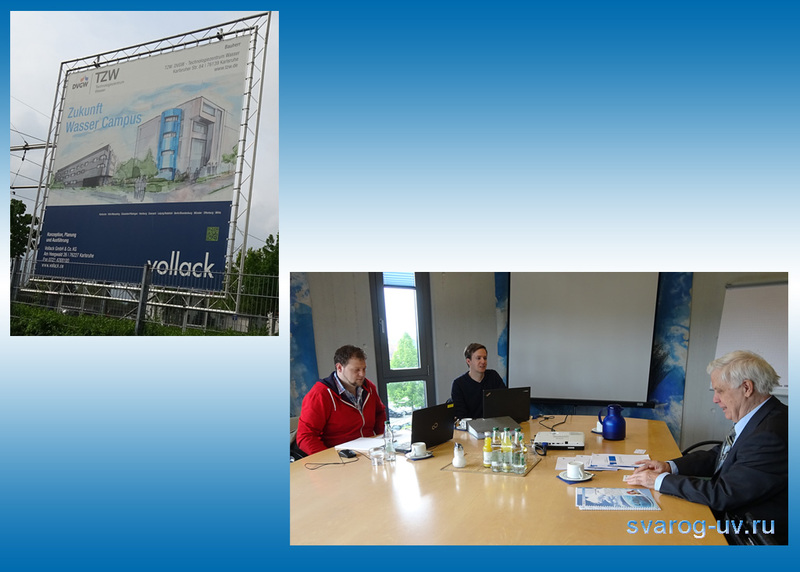 “Svarog” continues co-operation with a number of large users of “Lazur” systems in Germany. Technical consultations have been conducted with specialists in Berlin on the subject of further adaptation of “Lazur” water disinfection systems, based on ultraviolet light and ultrasound, to the technical standards of Germany. 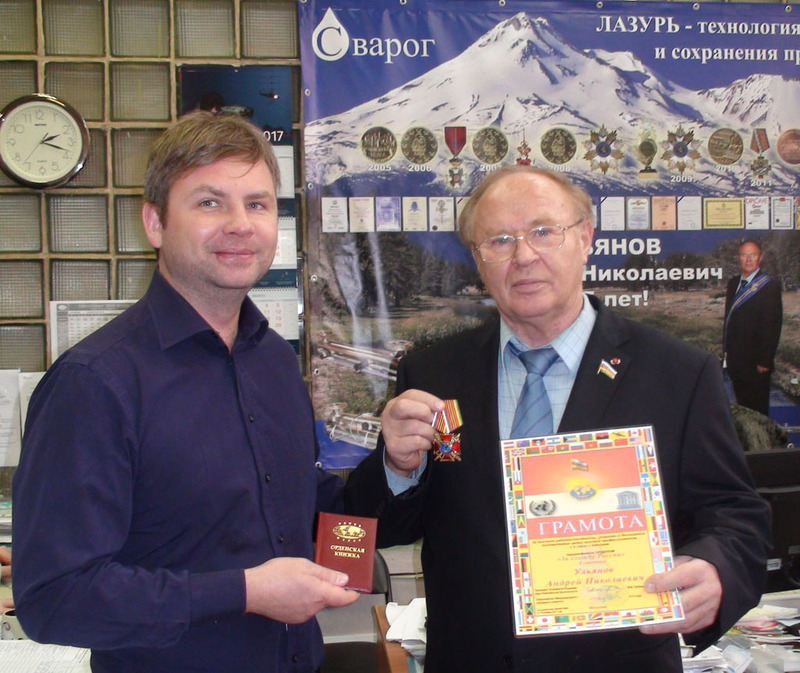 President of Svarog company Mr A.N. 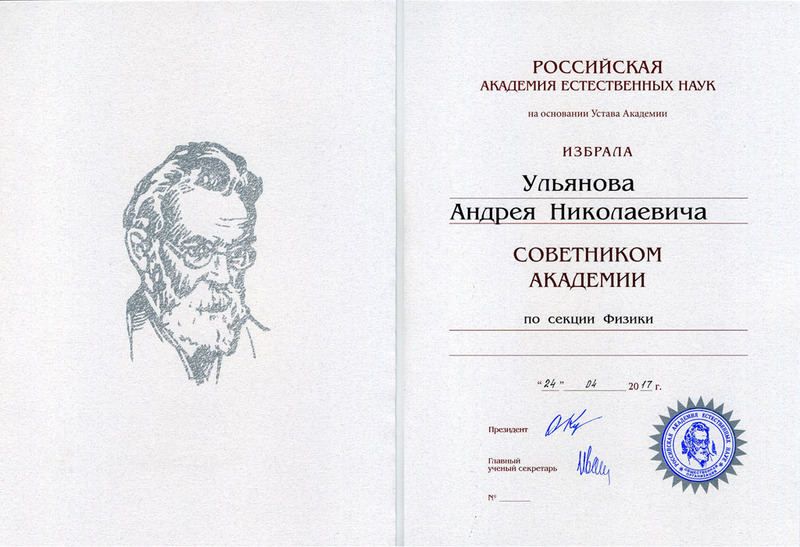 Ulyanov has been appointed as a member of the Russian Academy of Natural Sciences in recognition of his contributions in the field of innovative methodologies for treatment of aqueous media. The Technical Council of St Petersburg Water Canal reviewed results of the Lazur technology evaluation study (disinfection of drinking water and waste effluent with UV and Ultrasound) in comparison with traditional UV disinfection of water. 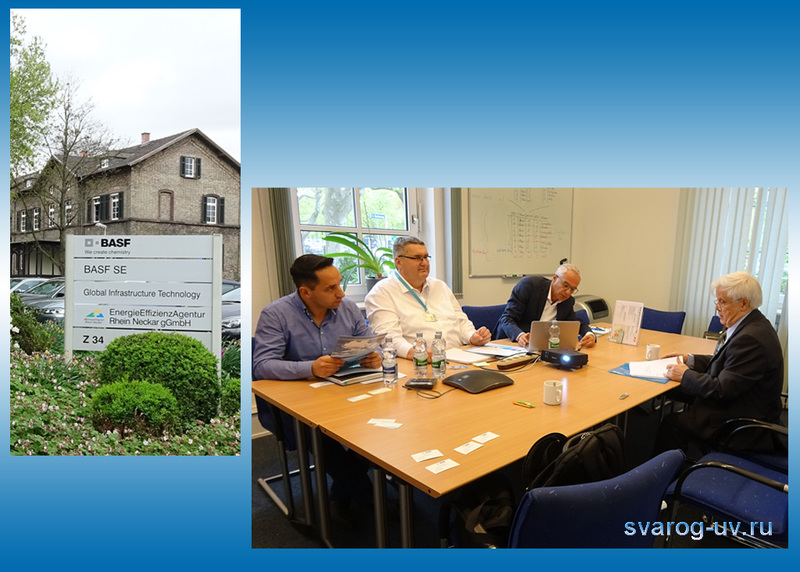 The Technical Council confirmed the advantage of Lazur technology over conventional UV water disinfection methods and recommended the use of Lazur technology at the Water Canal utilities with collaborative plan in place. 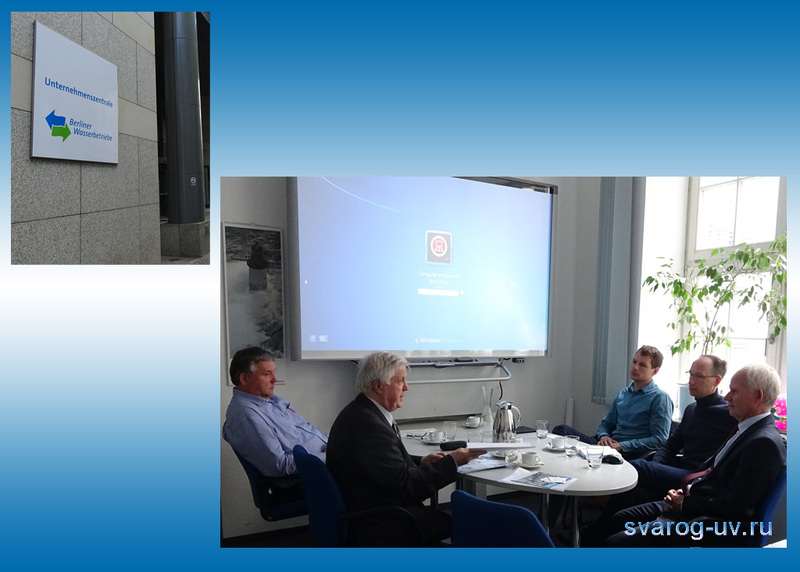 Svarog representatives conducted a number of productive meetings with the management of Europe's largest chemical concern BASF in Germany and developed plans for collaboration. A programme for certification of bactericidal systems of Lazur series has been set with a leading certification centre for water disinfection devices in Karlsruhe (Germany). In the final stages of the visit, Lazur technology for water disinfection was presented to the management of Berlin Water Works. A programme of Lazur bactericidal systems applications has been forecasted for the next three years. The company conducted successful talks with representatives of large German water utilities and their partners in Egypt about the promotion of “SVAROG” products in the area of drinking water and waste effluent disinfection with Ultraviolet light and Ultrasound in Africa and South America. Development plans and agreements have been drafted. 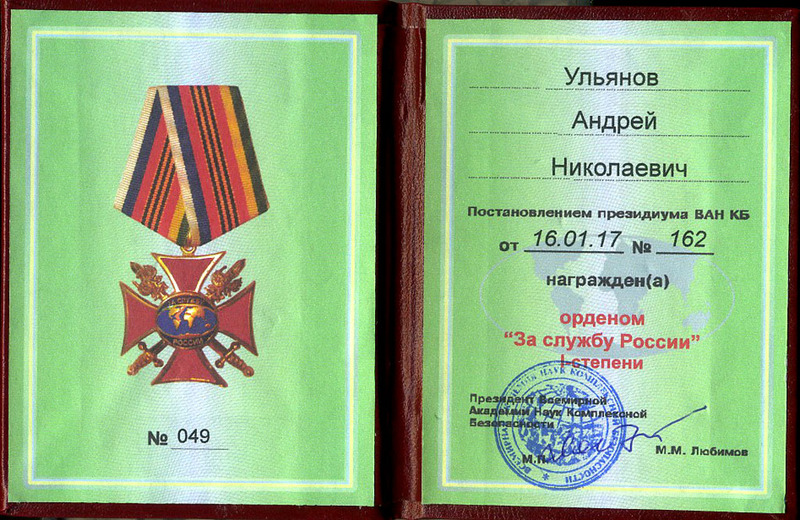 On 16th January 2017 the Presidium of “VAN KB” awarded the President of “SVAROG” company Andrei Ulyanov with the order “For Services to Russia”, first class, for high determination, perseverance and professionalism in his field of work. 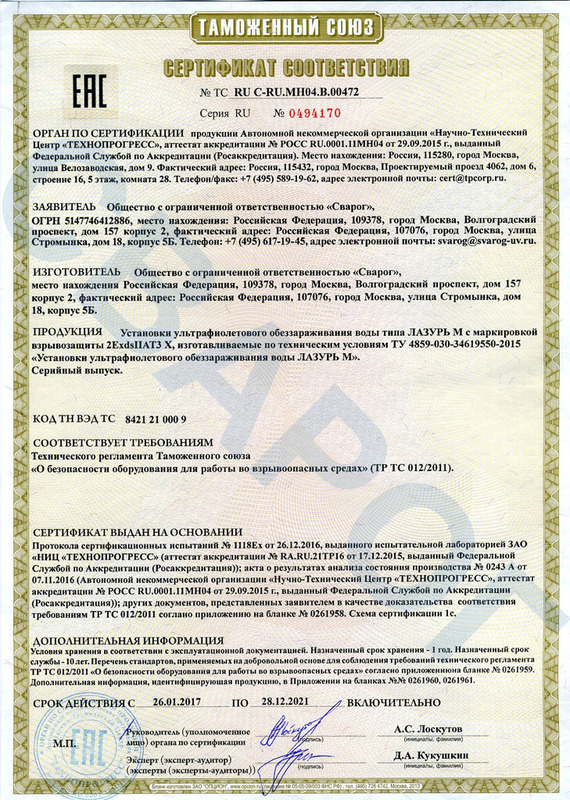 This order is awarded to Mr Ulyanov in recognition of his activities in the development and application of highly efficient technologies for disinfection of drinking water and waste effluent with Ultraviolet light and Ultrasound which provide safe environment in various countries. K.M. Lubimov - Vice-President of “VAN KB”, Managing Partner of “Constanta” group of companies, and General Director of the Engineering Centre “University KSB”. S.V. Gridnev - Vice-President of “VAN KB”, member of the Board of Directors at “Constanta” group of companies, representative of Hiromax company in Russia. LAZUR systems for Ultraviolet disinfection of water received the Conformity Certificate for explosion protection grade 2EXDSIIAT3X in line with the Technical Requirements “Ultraviolet water disinfection systems LAZUR M” and compliant with the Customs Union regulations “Equipment Safety for Operation in Explosive Environment” TP TC 012/2011. Manufacturing process has been certified for serial production of bactericidal systems “LAZUR” for water disinfection with Ultraviolet and Ultrasound in explosion protection design. Television company “NTV” visited production facilities of “SVAROG” company and learned about the unique technologies and manufacturing processes around “LAZUR” systems for disinfection of water which utilise the innovative “green” concept “Ultrasound + Ultraviolet”. The video report was broadcast on 18th December on NTV channel in the programme “Technical Sensations” in the section “Master of the week”. The video report was broadcast on 18th December 2016 on NTV channel in the programme “Technical Sensations” in the section “Master of the week”. Improved wastewater ultraviolet disinfection by ultrasonic pre-treatment. Using Ultrasound as a Pretreatment Method for Ultraviolet Disinfection of Wastewaters. have been published The said reports confirm the synergy effect (Ultraviolet + Ultrasound) in the disinfection of water and high effectiveness of this method. Main Advantages of Setups of “Lazur-M” Series for Water and Sewage Disinfection by Ultraviolet Irradiation and Ultrasound. Specific Features of Intensification of the Process of Water Disinfection by Ultraviolet and Ultrasound. 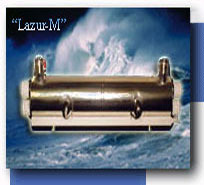 Grounds for application of “Lazur-M” technology in the disinfecting of potable water and industrial and domestic sewage. “Lazur” Technology as the New Step in the Disinfection of Water and Sewage. One lamp instead of three. /New Generation Ultraviolet lamp Technology/. Some information on Ultraviolet water disinfection. /Advantages of Lazur Technology/. On State of Affairs in Ultraviolet-based Water Disinfection. Implementation of Ultraviolet/H2O2 treatment for inactivation of microorganisms and pesticide control. Synergies of Ultraviolet Disinfection and Ozone in Water Treatment. Drinking Water Disinfection by Ultraviolet and Preformed Monochloramine. Multiple disinfectant barriers within a multiple barrier system: a new drinking water paradigm for public health protection. Synergistic effects of sequential treatment by Ultraviolet irradiation and chemical disinfectant for drinking water disinfection. The use of Ultraviolet in combination with physical unit processes for the treatment of raw water in small or rural communities. The Disinfection of water with Ultraviolet radiation and type-testing of Ultraviolet-Disinfection plants for drinking water. Disinfection of drainage water by Ultraviolet.